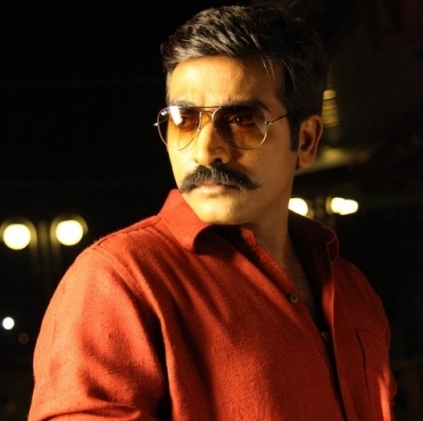 EXCLUSIVE: AFTER 2 DHANUSH FILMS, IT IS GOING TO BE A VIJAY SETHUPATHI FILM! We had reported that Vijay Sethupathi would be teaming up with director S.U.Arun Kumar for the third time, after the success of Pannaiyarum Padminiyum and Sethupathi. Now, it has been officially confirmed that this film will be bankrolled by S.N.Rajarajan of K Productions, who is a part of many big films like Baahubali 2, Power Paandi and ENPT. In an exclusive interview with Behindwoods, Rajarajan talked about this project. He said, "We are producing Vijay Sethupathi's next film, which is to be directed by S.U.Arun Kumar. He is an extraordinary director, but I personally feel he hasn't reached the height he deserves. With this film, he will get what he deserves. We will go on floors very soon and the film will be made on a very big scale, in terms of production." Cast and crew selections are underway and we can expect an official announcement regarding this very soon. Red Hot: First look of Vikram's next tonight? After Game Of Thrones, this Tamil film gets this huge International opportunity! Dhuruvangal 16 continues to surprise us! Rambha divorce case - A surprise twist in the tale! Vijay to do a horror quickie? No theatre release for this award winning film! After Puli and Si3, Shruti Haasan begins work for her next Tamil biggie! Vivegam- No teasers..No trailers.. but..
People looking for online information on K Productions, SU Arun Kumar, Vijay Sethupathi will find this news story useful.